POLICE IN BRAZIL are seeking the arrest of a second Irishman as part of the investigation into the alleged touting of Olympics tickets. The Irishman, named as David Patrick Gilmore, is wanted along with three other directors of British company THG Sports. One of the other three is Marcus Evans, who owns the Ipswich Town football club. Police in Rio said at a press conference today that the men were all involved in the same operation which saw Irish national Kevin James Mallon arrested last week. “We have made absolutely clear that the allegations made against our colleague, Kevin Mallon, and ourselves are entirely without foundation. “Pro 10, the Irish Authorised Ticket Reseller (ATR), have also made it absolutely clear that the tickets held by Kevin were on behalf of the Irish ATR and were held for collection by Pro 10 clients in Rio. “Having tickets on the ground for collection is standard practice for an ATR during games time. At no time did Kevin Mallon sell or seek to sell tickets for the Rio Olympic games. 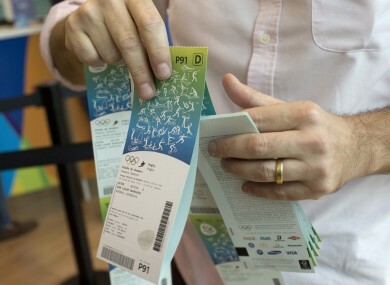 THG was the official ticketing agent for the London Olympics in 2012. But it was not authorised to sell tickets for the Rio Games. Email “Judge orders the arrest of four executives from firm at the centre of Irish Olympic tickets probe”. Feedback on “Judge orders the arrest of four executives from firm at the centre of Irish Olympic tickets probe”.